The grandMA3 replay unit offers the same features and functions as the grandMA3 consoles in a 19" housing. 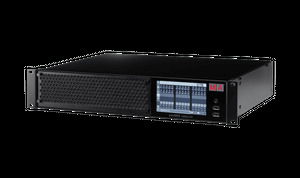 It can be easily built into a rack and is therefore perfect for fixed installations like theatre, studio or architectural lighting control or as a backup solution. 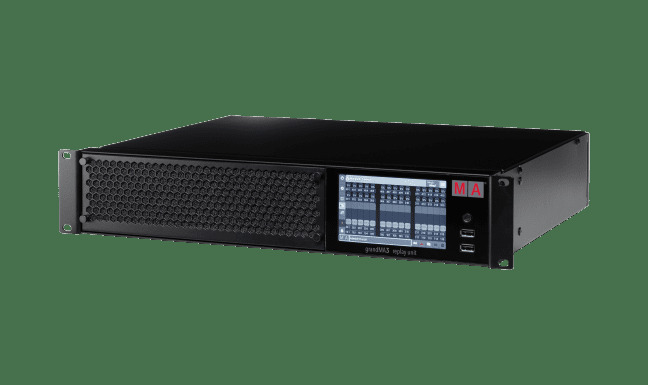 The grandMA3 replay unit is a very safe playback/master controller, because there are no built-in faders or buttons to avoid faulty operations. Instead, the unit is operated by using the integrated touch screen or a mouse and keyboard, connected via USB. A wide range of interfaces assures the most flexible use and the best performance within architectural systems. The grandMA3 replay unit is compatible with grandMA2 and grandMA3 software.